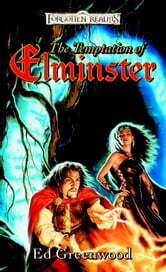 From a dark and dusty tomb, Elminster emerges, seeking the guidance of Mystra, and finds only silence. He is drawn into the clutches of the mysterious and sinister Lady of Shadows. The path he takes will lead to a Realms-shaking confrontation where Elminster has to make the most important choice of his long life. Whatever he decides, the Realms will be forever changed . . .
Not bad jumped about a bit.